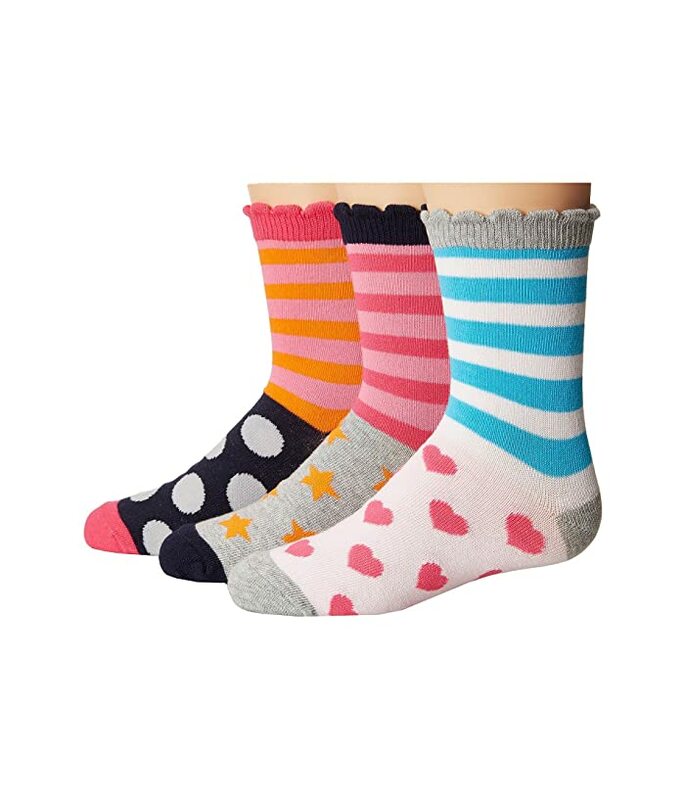 Add some fun to their sock collection with colors and patterns all-day long! Comes in a pack of 3 pairs of socks. Crew socks in a cotton blend fabrication. Mixed stripe, pattern, and color-pop for added fun. Scalloped, ribbed cuff for adorable and non-slip style.